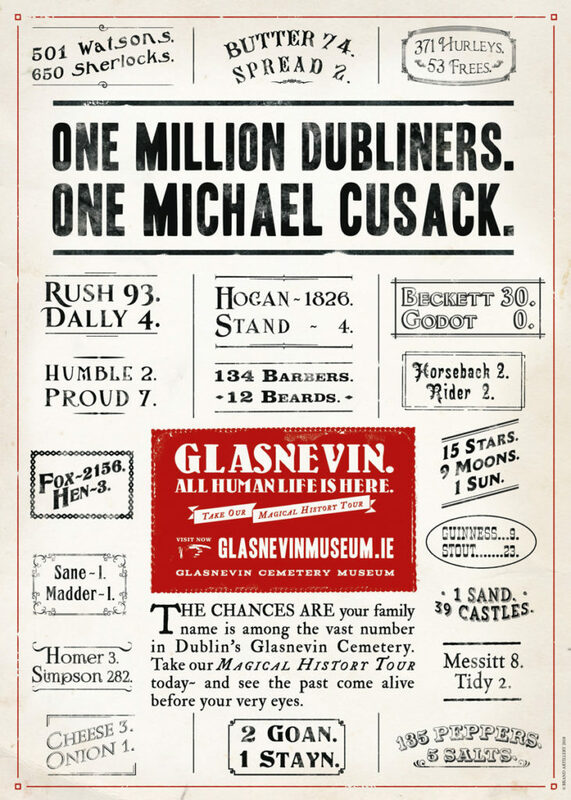 The official poster as created exclusively by Brand Artillery for Glasnevin Cemetery. Handsomely printed on premium Munken Pure Rough 170gm, extra-tactile uncoated paper with an antique finish. This poster was produced exclusively for Glasnevin to mark the re-opening of the iconic O’Connell Tower after nearly 50 years. 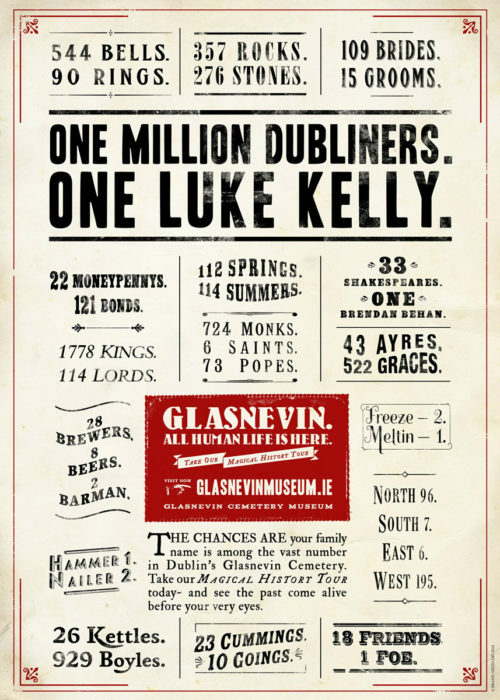 It tells an entire story, with a true Dublin voice, mostly composed of the names of some of those interred within Glasnevin’s walls. 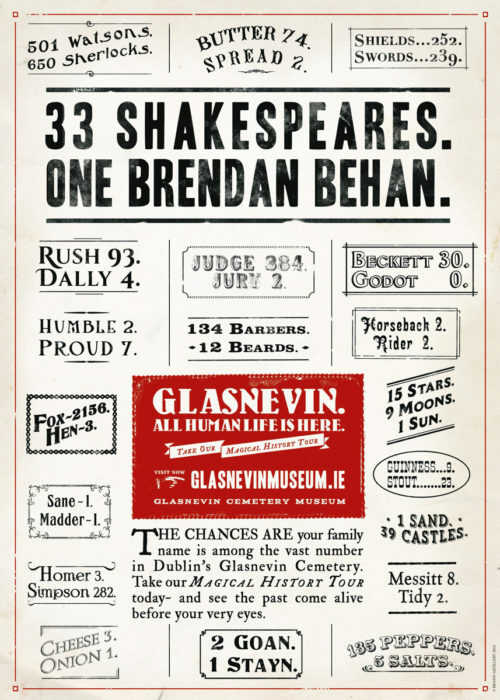 Harking back to the playbills for the Dublin music halls, It’s already proved a firm favourite with the quality of its printing and paper stock setting a new benchmark. Love this poster. Bought it for family in the US and really looking forward to their reaction. A beautiful piece of home abroad. What a gem! Perfect birthday gift for my writer friend, she loves the clever, funny wordplay and the paper quality is excellent. Nowhere like the place….No one like the copywriter. National treasures both! Exceptional idea and beautifully crafted…deserves to be a great success. Looking forward to gifting these posters to family and friends . A new clause: the perfect present ! 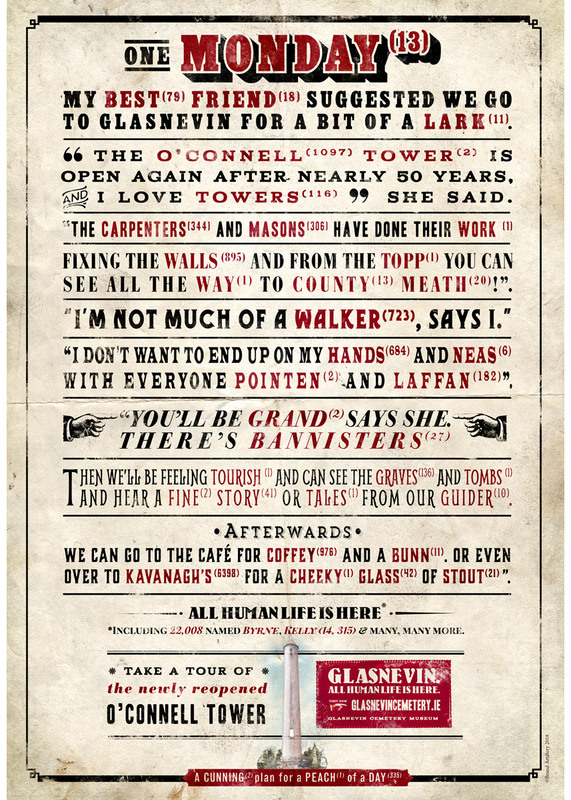 Great gift for both visitors and Dubliners.